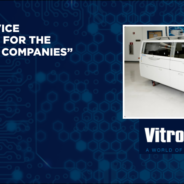 Vitronics Soltec specializes in the design and manufacturing of mass soldering equipment for the global circuit board assembly market. Products are covering the Reflow, Wave and Selective Soldering markets. Vitronics Soltec is designing and manufacturing equipment in three factories; Stratham, NH in the USA, Oosterhout in The Netherlands and Suzhou in China. Direct sales and support centers are located in the United States, Holland, Germany, Singapore, Malaysia, Korea and Shanghai.